We are always excited about finding Canadian talent and are super stoked that our latest discovery comes in the form of local Vancouverite Lukas Peet. Seemingly a bit of a phenom, this Dutch trained industrial designer is incredibly talented and unique with his latest creation being carried by Roll & Hill. 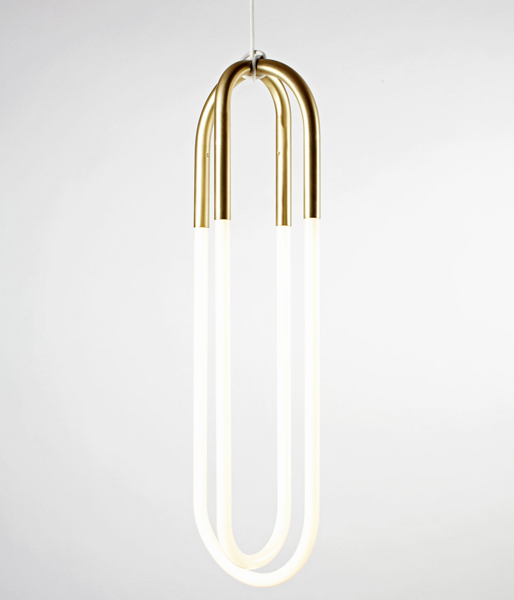 The Rudi Pendant hangs from its own electrical cord and has a dimmable cold cathode light source and to us looks like a large interpretation of a paperclip. Available here.